LONG BEFORE THE advent of Twitter, Rebecca West railed against the “vice of amiability” in literary criticism and bemoaned the mealy-mouthed regurgitation that often follows it. Writing in 1914, in The New Republic, on “the duty of harsh criticism,” West called contemporary literary criticism “a chorus of weak cheers.” One hundred years have done little to quell those weak cheers. In a smart essay earlier this month, Jacob Silverman lamented the sugar-coated vacuity of literary criticism in the age of social media. “Twitter and Tumblr form the superstructure of today’s literary world,” he said, creating a “mutual admiration society,” in which reviewers have become mere “recommendation machines.” Praise, with either attitude or overzealous Facebook thumbs, is “a critical dead-end, a conversation nonstarter. It’s opinion without evidence—or, really, posture without opinion.” Last week, in The New York Times, Dwight Garner published a riff that echoed Silverman’s (and Orwell’s masterful essay “In Defense of the Novel”) and declared that what we need now are “excellent and authoritative and punishing critics.” Ironically, Twitterers responded to both pieces with laudatory remarks and much retweeting. Silverman’s and Garner’s assessments are accurate. Critics too often rely on easy truisms to do their work for them, and the fawning online masses lavish undue praise. But Twitter will carry on retweeting and endorsing—pleas from desperate critics will not impede the social media machine. For the critic to conduct himself purely in reaction to excessive enthusiasm subverts his larger purpose: which is, as Ruth Franklin writes, to “offer an honest evaluation of what he reads.” Negative criticism has been recently celebrated as the antidote to the cotton-candy variety, but in truth it serves this fundamental purpose no better than thoughtful positive criticism. We need critics to steer us toward some things just as much as we need them need to steer us away from others. 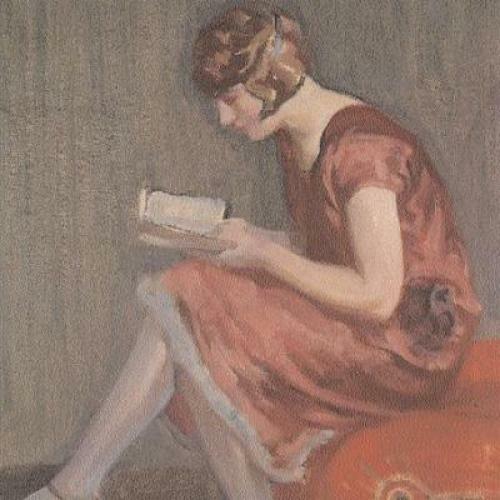 The literary community needs more smart criticism, not less positive criticism. Among the best positive critics working today is Nick Hornby, whose latest collection of his Believer columns, More Baths, Less Talking, has just been published. Hornby’s reputation as a reader’s reviewer rather than a reviewer’s reviewer has earned him some mockery from other critics, who deride him for his niceness. The inference here is that Hornby is a soft little lamb, unable and unwilling to throw a punch in the name of intellectual honesty. But this isn’t fair. Yes, Hornby is overwhelmingly positive, but the positive slant with which he approaches his task shouldn’t diminish his excellent opinions. In 2003, in his first column for The Believer, Hornby explained that “Stuff I’ve Been Reading” was meant to be about “the how, and when, and why, and what of reading—about the way that, when reading is going well, one book leads to another and to another, a paper trail of theme and meaning.” Reading, for Hornby, is a dynamic art. He recognizes his rare place in the literary world: a paid reader, pleasurably burdened with the task of unpacking and explaining the pathway from reading to understanding. Like the previous three collections of his columns, More Baths, Less Talking spans approximately eighteen months of Hornby’s reading life. The concept is straightforward: each month Hornby lists all the books he has read and purchased, and then writes about two thousand words of refreshing analysis. Hornby believes that the personal elucidates the universal, and thus the narrative of his private life weaves in and out of his prose. He explains his reading patterns, offers little windows into his quotidian existence, and, most importantly, writes about the emotions—beyond pleasure or dislike—that accompany a reading life. A sense of normalcy pervades his column—he is not merely an intelligent machine, programmed to annotate carefully and decipher patterns—but a lover of the written word who happens to have impeccable taste and a keen knack for jaunty prose. This pragmatic, positive-minded approach to book-reviewing means that each month contains a catch-all of genres. In February 2011, for instance, Hornby read Nicholson Baker’s The Anthologist (a novel about a struggling poet), Colm Tóibín’s Brooklyn (a historical novel about a mid-twentieth-century Irish immigrant), Donald Spoto’s Madcap: The Life of Preston Sturges (a biography of the brilliant but uneven film director), and Carl Wilson’s Let’s Talk About Love: A Journey to the End of Taste (an extended meditation on the life and career of Celine Dion). (Yes, Celine Dion.) In July and August of that year, he read The Adventures of Huckleberry Finn, a biography of Lucille Ball, an account of the 2008 recession, and a memoir about life in North Korea. The selections are sometimes odd but always fresh and representative of the eclecticism of many people’s reading lives. Whimsy, rather than the best-seller list, governs his choices. Like any reading being, Hornby occasionally falters in his selections. But the result is usually a thoughtful scrutiny of his tendencies and the limitations of the reading life, rather than an excoriating critique of the book itself. One month, Hornby read Our Mutual Friend and the slow, agonizing march through what Henry James called “the poorest of Mr. Dickens’s works” led him to admit that he was relieved to have an excuse to avoid super-long books. (Would his readers stick with him if he mastered just one book each month, he asked?) Hornby then concedes that he consistently prefers an author’s shortest high-quality novel (Silas Marner, A Portrait of the Artist as a Young Man). This statement comes without any of the pretention that usually accompanies such pronouncements. “Aren’t I so bold to admit my ignorance?” critics often seem to say when admitting their ignorance of The Old Curiosity Shop or the minor works of Stendhal. You’ll get no such phony modesty from Hornby, who acknowledges the ease with which one can “cling to the cultural touchstones of an orthodox education.” The shorter books, he insists, are just as valuable as their lengthier siblings. “Long, slow books can have a disastrous, demoralizing effect on your cultural life if you have young children and your reading time is short,” he writes. “You make only tiny inroads into the chunky white wastes every night before falling asleep, and before long you become convinced that it’s not really worth reading again until your children are in reform school.” Time is short, Hornby says, we read what we can. How Hornby writes is as important as what he reads. He engages in a semi-faux, one-sided conversation with his readers in which he responds to their imagined praise and complaints. Side notes and tangents creep into his prose—the sort that a good editor would remove on sight, but a great editor knows to leave alone. He uses the common adjectives of the reviewer—books are “candid,” “gripping,” “magnificent,” “elegant”—but distinguishes himself with his refusal to write like an objective third party. Reading is a transformative act; Hornby allows himself to be changed by what he reads and fashions the story of those changes into insightful but simple prose. Take his discussion of Sarah Bakewell’s How to Live: Or, a Life of Montaigne in One Question and Twenty Attempts at an Answer. Hornby smartly mimics Montaigne’s own impulses and makes himself the subject of the review, using his reading of How to Live as an example of the way that he has been “slowly making … peace with antiquity.” For fifty years of his life, he admits, his “cultural blind spots have included the Romantic poets, every single bar of classical music ever written, and just about anything produced before the nineteenth century.” His youthful (and even middle-aged) reading was a revolt against “anything that anybody in any position of educational authority” told him to read. Reading How to Live provided him an opportunity to temper his youthful opposition. “A lot of adult life” Hornby concludes, “is learning to join up the dots that you didn’t even know were there.” Here, as in his other reviews, Hornby explains how the path through a good book may also uncover a path to a richer life. Enlightenment is not solely the provenance of self-help gurus and Buddhist monks. It is, and always has been, a foremost goal of dedicated readers. Hornby is a critic to be taken seriously, even if he is not always “serious.” He may not sharpen his talons on other writers’ work, but his writing serves a purpose larger than adoration or condemnation. It reminds readers of what is inherently valuable about books and literature: they, as famously put by Jessamyn West, “reveal truths that reality obscures.” Hornby’s critics may declare that he isn’t tough enough. They may see him as part of the “niceness” problem in reviewing. But tough does not always mean just. Hornby is a champion of the book, of reading, of the pleasure of a smart literary experience. He has a quality desperately needed in these times: intelligent enthusiasm. Hillary Kelly is Managing Editor of THE BOOK.